Throughout human history, boats have always been an important means of transport: not only for transporting people but also for commerce and recreation. In a country abounding in water like the Netherlands, boating is a popular form of recreation. During weekends and holidays, the waterways are full of jolly boats, sailing boats and water scooters. Want to join in? You may need a boating licence. D.S.W.Z. 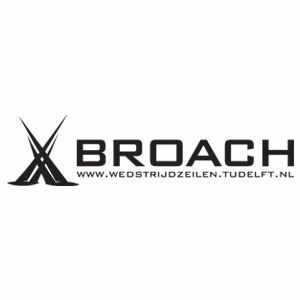 Broach, in cooperation with X, provides a course to prepare people for the boating licence exam. Keen to obtain your boating licence or marine telephone certificate? Is there so much dust on your course book that you cannot blow it away in one breath? And isn’t it about time to schedule that exam? D.S.W.Z. Broach helps to ensure that you are well prepared for your exam! The course crams you to pass the two exams for operating small craft, i.e. Klein Vaarbewijs I (KVB I), Klein Vaarbewijs II (KVB II), and for the marine telephone certificate. The difference is explained below. KVB I is for people who want to operate a jet ski, water scooter or boat that can go faster than 20 kilometres an hour and has a length of between 15 and 25 metres. If you have this document, you are allowed to boat on rivers, canals and small lakes. For larger bodies of water, you need Klein Vaarbewijs II . KVB II is a supplement to KVB I. KVB II is therefore not an independent boating licence. If you have KVB I and II, you may boat on large open waters, such as the Wadden Sea, Oosterschelde, Westerschelde and IJsselmeer. You may also boat along national and international coasts. The vessel that you operate may not exceed a length of 25 metres in this case either. A marine telephone is used to communicate with other captains and with the rescue services and waterside stations, such as lock and harbour masters. The marine telephone promotes good communications on the waterways and, therefore, safety as well. A certificate is required to operate a marine telephone. The course has a total of seven lessons. If you pass the course, you are ready for the exams for KVB I, KVB II and the marine telephone. So exactly what is covered by the course? Lessons one to three go into the theory for KVB I. Lessons four to six are about KVB II. Lesson seven covers the marine telephone. If you already have KVB I, you can also join the class starting from lesson four. You will test what you learn by taking practice exams. The course is given in Dutch, because that’s the language of communication on the Dutch waterways. Theory books can be purchased during the first lesson.